Who’s hungry…for a QR Code? It’s been very intriguing to read about the newest technological advancement in medicine – edible QR Codes. Though it will not satisfy your hunger, the drugs via edible QR Codes will deliver necessary and tailored drug amounts to the individual eating the code. A recent study by researchers at the University of Copenhagen, along with colleagues from Abo Akademi University in Finland, have developed a white edible material with which they have successfully printed a QR Code consisting of a drug. Now, some of you may be envisioning something like Willy Wonka’s everlasting gobstopper machine from the 1971 classic, Willy Wonka and the Chocolate Factory, cranking out little bits of medicine on paper. But, in fact, the researchers actually adapted inkjet printing technology to print the edible QR Codes that contain a dose of medicine adjusted for the particular needs of the patient. Wow. It’s one thing to just be able to print edible medicine. It’s an even further step to be able to print medicine as a QR Code. The technology is said to be very promising, because the medical drug can be dosed exactly the way patients need it to be. The perfect amount of one or more drugs can be incorporated into a single printed QR Code, thereby reducing the number of different pills a patient needs to take separately. This also eliminates the problem of a dose being rounded up or down to the nearest amount that is put in the typical pill. Edible QR Codes gives healthcare professionals an opportunity to tailor the medication specifically to the patient taking it. This new way to administer drugs enables doctors and patients alike to have a better understanding of the drugs ingested – the shape of the QR Code enables the storage of data about the drug in the drug itself, where a simple scan can bring up all pertinent information about the drug. 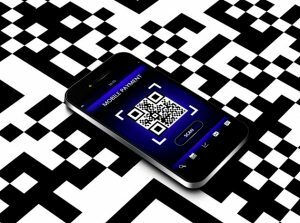 While the information and data provided by an edible QR Code will prove highly beneficial, there are some issues that will need to be addressed. First, the patients will need to have the ability to scan the QR Code. Luckily, most everyone today has a smart phone that is capable of reading such codes. Additionally, there is concern that the medicinal QR Codes may fade over time. While further research on light, temperature, and humidity resistance will need to take place, preliminary testing showed that printed codes exposed to humidity were still readable, as long as the codes were kept flat when printed and were not creased or wrinkled prior to scanning. “Simply doing a quick scan, you can get all the information about the pharmaceutical product. In that sense it can potentially reduce cases of wrong medication and fake medicine,” said Natalja Genina, an assistant professor at the Department of Pharmacy at the University of Copenhagen. 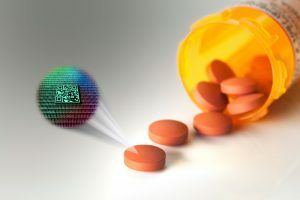 It is possible that this study could one day allow a regular printer to be able to apply the medical drug in the pattern of a QR code, while the edible material is produced in advance to allow on-demand production of medical drug near end-users. “If we are successful with applying this production method to relatively simple printers, then it can enable the innovative production of personalized medicine and rethinking of the whole supply chain,” says professor Jukka Rantanen from the Department of Pharmacy. Fascinating development.